Ottawa has so many amazing things to see and do with kids! We wanted to put together the ultimate list, so that you can grab loads of ideas from one spot! From museums, indoor activities, outdoor activities and parks - there's always something to do in Ottawa, no matter the season! Having lived in other cities in Canada, I think the best thing about Ottawa is our amazing museums. There are many options that will please young and old! Visit the historic estate of one of Ottawa's founding families and spend the day enjoying one of their special events (including awesome themed teas!) or kid-friendly programs. The Bytown Museum offers plenty of interactive activities for our young and young at heart visitors! Snuggly animals, food demonstrations, and special events - the agriculture museum has it all! Aviation is the third museum, along with Agriculture and Science and Tech (which is currently being rebuilt! ), that makes up a great 3-in-1 membership for families. This museum is perfect for the little ones that love planes, space and so much more. There are daily kids activities, camps and a special play area for the kiddos! We’re so excited to finally be adding this one back into our “50 things” post! Completely renovated, this museum offers SO much for all ages. The best part for little ones (under 8) is the new Zoom exhibit!! When you think "kids," you may not think the war museum - but the little ones still get a kick out of looking at all the exhibits. And if you have older children, you may all get lost in there reading and exploring! My kiddos LOVE this museum, and we make it a special treat. Their main attraction changes every few months or so, but the regular exhibits are a huge hit. And don't forget to try to check out a movie at the Imax theatre! My daughter's Sparks group recently spent the day at the Cumberland Museum, and we had SO much fun! What a fantastic way to teach our children about the past, with many activities and displays scheduled throughout the day. Also check out their special events, including the Village of Lights in the winter! Check out Lara's trip to the Diefenbunker with her kids! This giant underground bunker was built during the cold war to house government officials in the event of nuclear war. It's sure to be a fun place for kids to explore. The first time I visited the museum, I didn't allocate enough time. Floors of amazing exhibits, activities for kids young and old, and an Imax theatre. The special exhibits that arrive every six months or so are always a big hit! You wouldn't think an art gallery, with really beautiful, expensive art, would be a great place for kids, but if you follow some tips, it can still be a fun outing. Check out their Family Sundays, or take a walk around with your baby. What's better than a park and sugar bush smack in the middle of an urban neighbourhood? A great place to walk your dog too! Whatever season, Rideau Hall is a beautiful place for a visit. Special events are often held there, and winter is great for a skate or celebration! 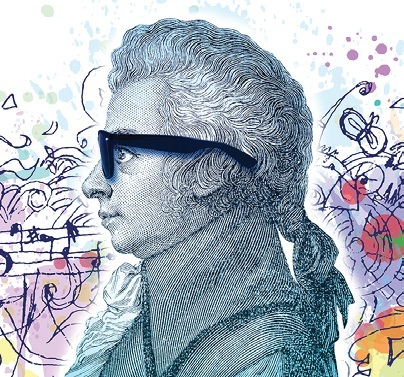 The National Arts Centre has some fantastic children's programming, and you can read about French Youth Theatre here! Your kids will love you forever if you take them for high tea at the superb Chateau Laurier. Who doesn't love tiny sandwiches? Call ahead to book a tour at the Mint! Our experience has been that tours are great for children ages 5 and up, although most kids will get a kick out of the facility that produces Canada's investment and collector coins. The free sound and lights show on Parliament is SPECTACULAR, and a must-see if your kids are able to stay up until 10pm in July, 9:30pm in August and 9pm in September. Check out our blog post from the Mosaika show, and stay tuned to read all about the new show in 2017! Not for the wee ones, the changing of the guard would be great for your tweens and teens who have the patience and interest to sit for the show. If you have little ones they may still enjoy watching a few minutes! Award-winning programming from Canada and across the world! Check out one of our reader's past experience at the festival. The ultimate live performance event, Buskerfest is a huge crowd pleaser! This festival is an essential part of Ottawan life, even if you're not too fussy about snow and ice! 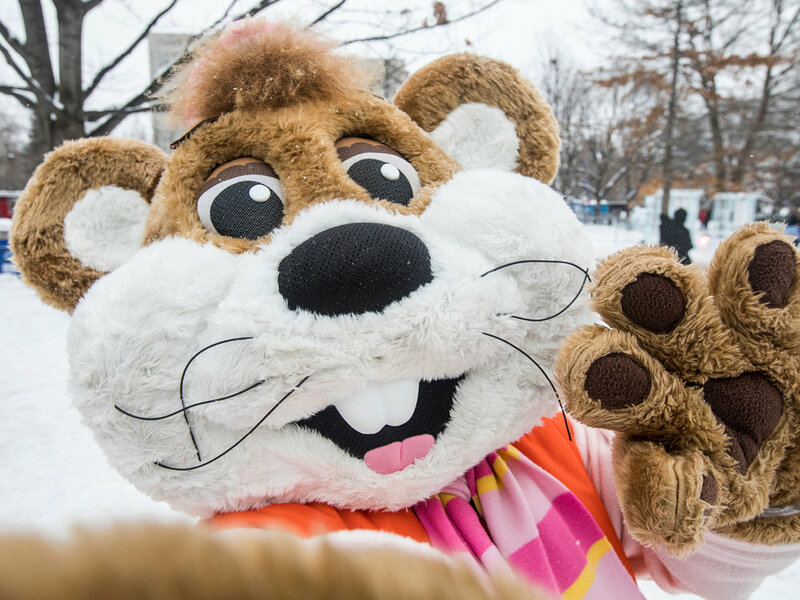 Whether you're snow tubing, skating, or maybe just enjoying a beaver tail, there is much to see and do! Check out our tips for heading down to the festival. The Tulip Festival is one of many great things to enjoy about Spring in Ottawa. There's nothing better than seeing the tulip bulbs pop up when the snow has melted! Kids of all ages can have a blast at Cosmic, an indoor play place in Gloucester (east end of Ottawa.) 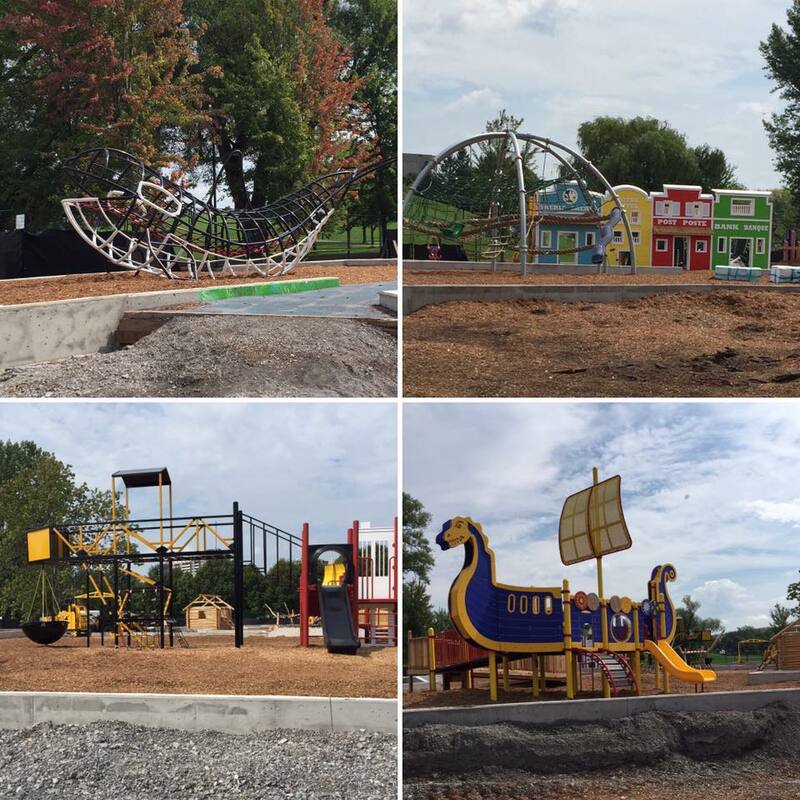 There are slides, climbing structures, ball pits and a smaller area for the wee ones. A place to go on really cold, hot or rainy days! Perfect for those in the West end (or even if you're willing to make the drive!) The number of things you can do indoors at Funhaven is astounding - games, jungle gym, toddler play, laser tag, mini bowling, and so much more! My children are quite distraught that I have still not taken them to SkyZone, the indoor trampoline park. I'll get there at some point soon, but our Kids in the Capital contributors have so many great things to say about it! 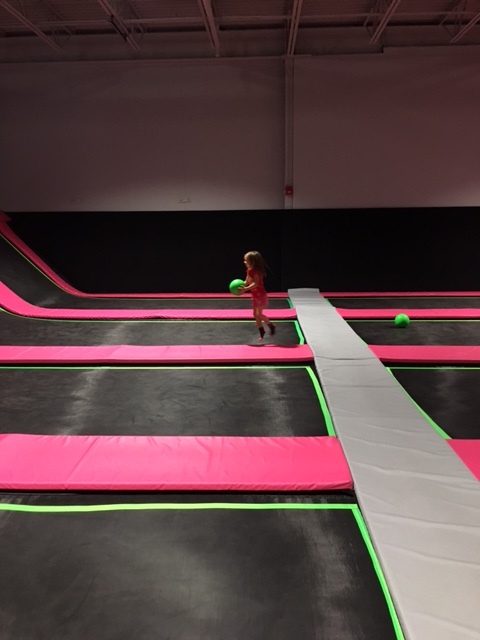 Another great indoor trampoline park in the East end! Lara got a chance to check out Altitude gym last summer, and her three kids really enjoyed the indoor climbing walls. There is nothing better than heading out for a swim when you're stuck for something to do with the kids. In the summer it's great to check out the outdoor pools and wading pools, but in the winter, sometimes we just want to imagine we're on the beach, getting hit by a huge wave. Happy swimming! There are some great outdoor skating rinks to enjoy in the winter (including the free one at Lansdowne,) but it can be a fun summer activity to cool off on a sweltering day. Check out the City of Ottawa for public skating schedules, or maybe you have a local pond to discover when everything freezes over! We visited Parc Omega for the first time last summer, and I was really impressed by the experience. The property is SO huge, but there are options to take nature walks and picnics if you don't feel like sitting in your car. A lovely, small water park, nestled in the Gatineau hills. And you really can't beat the price when taking the whole family! A water maze adventure in the Outaouais region! A water park that invented the saying "go big or go home." 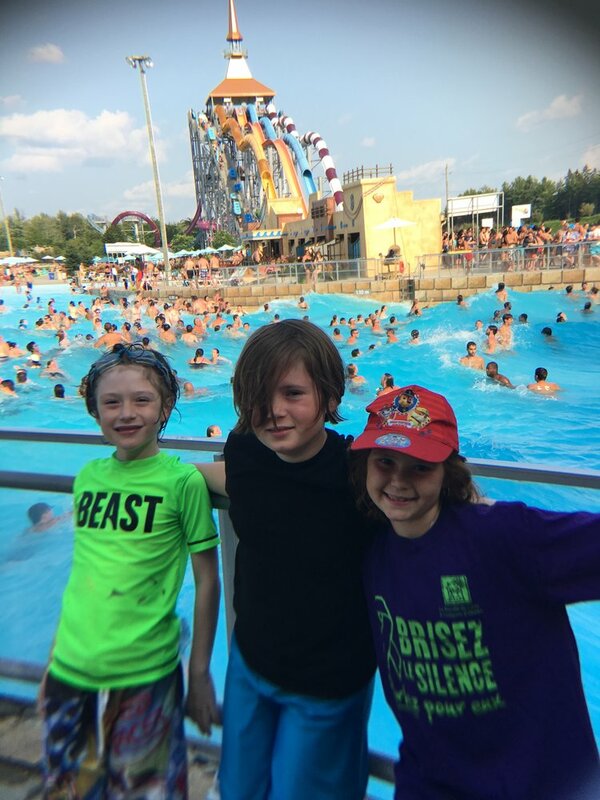 This is the ultimate water park experience for your family, and just a quick jaunt just outside Ottawa! THE best place in the Ottawa region to see the Fall leaves, head out for a nighttime snowshoe (yup, kids would enjoy this too!) or spend a bit of time there with both winter and summer camping. There are also great hikes for the older kids, and a short walk around Pink Lake for the younger ones. Boating in the summer, or skating in the winter - everyone can enjoy this beautiful heritage site in the heart of Ottawa! Don't want to boat OR skate on the canal? Just head down with the kids in the summer to see a boat make its' way through the locks! Yup, kids can definitely kayak, and it's easier than you think! Check out Lara's post on kayaking and SUPing (Stand Up Paddle Boarding) with her kids. Take an imaginary pirate adventure along the Rideau Canal, and have a barrel of laughs! Arrrrr! There are so many activities in Ottawa that don't cost an arm and a leg, and kids will have so much fun - feeding cute ducks is definitely one of those activities to file away for the days when your kids are whining "I'm bored!!" Who knew there were secret treasures hiding all around this city? And people are on the hunt to find them! Boasting one of the best mazes in the city, along with fantastic activities all summer long (and check out their spooky Halloween activities!) this is a place you'll want to visit again and again. A farm with a tiny train to ride and animals to pet, located in Southwest Ottawa. A great alternative to the Canadian Agriculture and Food Museum if you feel like switching things up! We love this farm out in the East end, with their horse-drawn wagon rides, pancake breakfasts, pumpkin patch, strawberry picking and so much more! Proulx Farm is also a staple at some of the farmer's markets around the city. The perfect walk for little ones, with ample snow and ski trails in the winter. Don't forget to bring the bird seed to feed the chickadees! The perfect place to cool off in the summer, check out Ottawa's Dragonboat Festival, or take a picnic to the park! Each year from mid-May to early September you can cycle along some car-free roads in Ottawa every Sunday. Don’t forget your yearly bike tune-up! In the East end, this beach is great in many seasons, with summer fun and beautiful Fall colours. For the avid naturalist, it's also a great place to spot turtles and participate in Nature Camps! My kids LOVE the Ottawa Farmer's Market. There are locations all over the city, and we usually visit the Orleans location or the big Landsdowne location. My girls enjoy the free samples, picking out fruit and vegetables, and the occasional special events like face painting or balloon animals. And that's a wrap on our 50 things to do with kids in Ottawa - what's YOUR favourite things to do? Kayaking for Kids - They can do it!